I admit, this isn't the most exciting outfit I've posted - but hey, it can't be perfect every time. I do think it's cute, though; and sometimes cute is good enough. 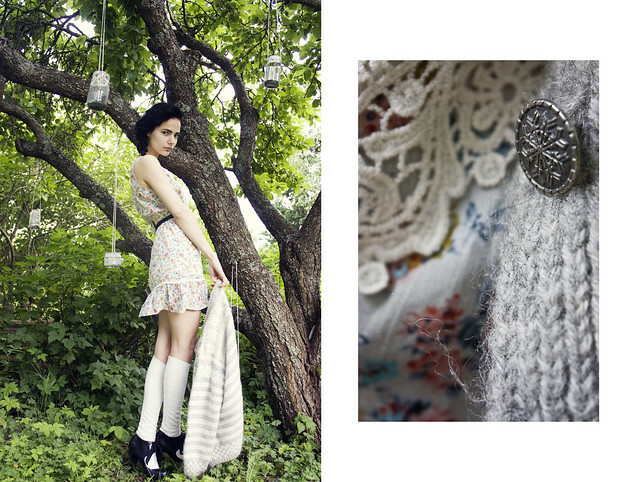 Dress via Ebay, grandma's knitted cardigan, Cubus stockings and JSFN shoes.